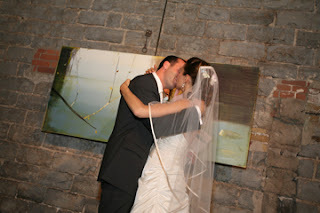 celebrate it: Wedding Wednesdays: the kiss! The pictures captures the real essence of the groom and bride kiss; the gateway to a blissful union. A kiss says it all,the couple are now one item. Well captured. Great pics, one of my favorite parts of the wedding ceremony.